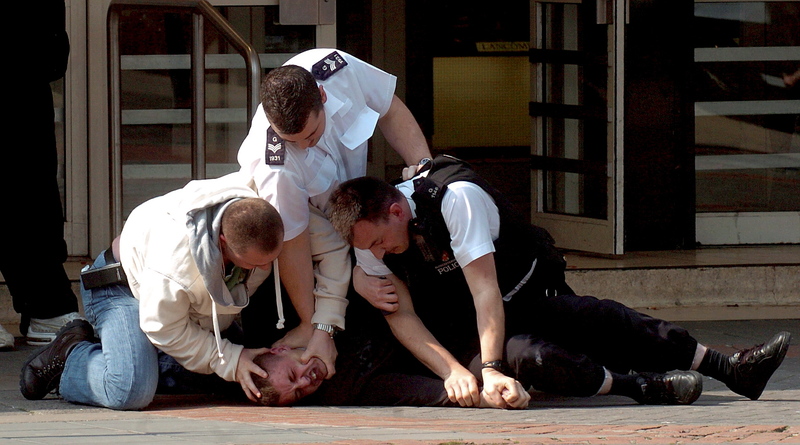 Police arrest three men after the incident inside/outside Debenhams in Gloucester. Always carry a camera. This was taken as I was walking back to the office.